Homes built with energy-efficiency in mind are often well-insulated, but most homes that are older than 10 years are not as energy-efficient as they can be. Getting an energy assessment, or examining the insulation yourself, is a simple way to determine whether you need additional insulation. 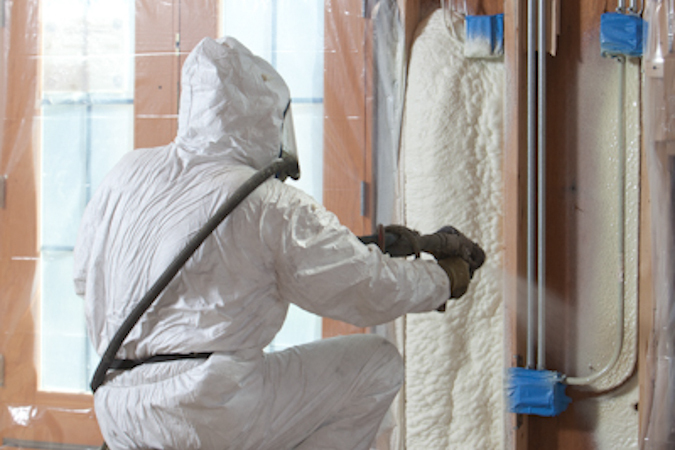 An examination of the existing insulation is very helpful in determining whether to add more insulation to your home. Drafts and cool areas of the home indicate an obvious need for insulation, but there are also subtle signs that your home may not have the right type or amount of insulation. Start by examining the current insulation in exposed areas, such as your attic, to determine the type that is used in your home. Insulation that has the appearance of tiny pieces of paper or another material that sticks to the wall is typically blown-in cellulose or fiberglass. If it is backed with paper it is typically fiberglass insulation. Once you find it, use a tape measure or ruler to measure the thickness of the insulation. To examine the insulation used inside walls, turn the breaker off to an outlet, and remove the outlet cover. The insulation should be visible in the area surrounding the outlet. If necessary, pull a small piece of the insulation out of the wall to determine its type and thickness. The location and design of your home are important to consider when deciding whether more insulation is necessary. Regions with colder winters, for instance, should have more insulation than those located in regions with mild winters. Homes with high ceilings also have unique insulation requirements. A home with a cathedral ceiling, for example, should have R-30 to R-49 insulation installed in the attic. To get a professional assessment of your current insulation to know if you will need more or if you have the proper amount in your home, contact USI online to get a free quote. USI believes that excellence in every step of the process ensures timely completion and quality service, time after time.